At the end of September, only two weeks into my MBA, I flew to Lima, Peru to participate in the McKinsey & Company Impact Experience Weekend. McKinsey organised this event in five countries of Latin America. The idea behind the weekend was for students to understand what it was like to work for McKinsey & Company while solving a real case study with TECHO. Participants also received training directly from McKinsey consultants. TECHO is a well-known NGO in Peru. It helps combat the issue of poverty by building more sturdy houses in impoverished communities and promoting youth volunteerism. As a Peruvian native, this issue is near to my heart, so I was excited to have the opportunity to participate even if this meant traveling for over 40 hours in the span of one weekend. I eagerly booked my flight from Thursday to Monday morning. These types of opportunities don’t come often, and the beauty of doing an international MBA is the international exposure. Upon arriving in Lima, we were split into groups. I had the pleasure of working with: Cassia Arellano, Research Assistant at VOH consulting, Diego Untiveros, senior from the Universidad del Pacífico, and Stefany Parra Bocanegra, Senior Analyst of trade marketing at Alicorp. The case at hand involved improving youth engagement. TECHO runs on volunteers and needed a way to keep volunteers coming back. Diego was a great asset to our team as a former TECHO volunteer. Our team focused on creating an innovative marketing strategy. 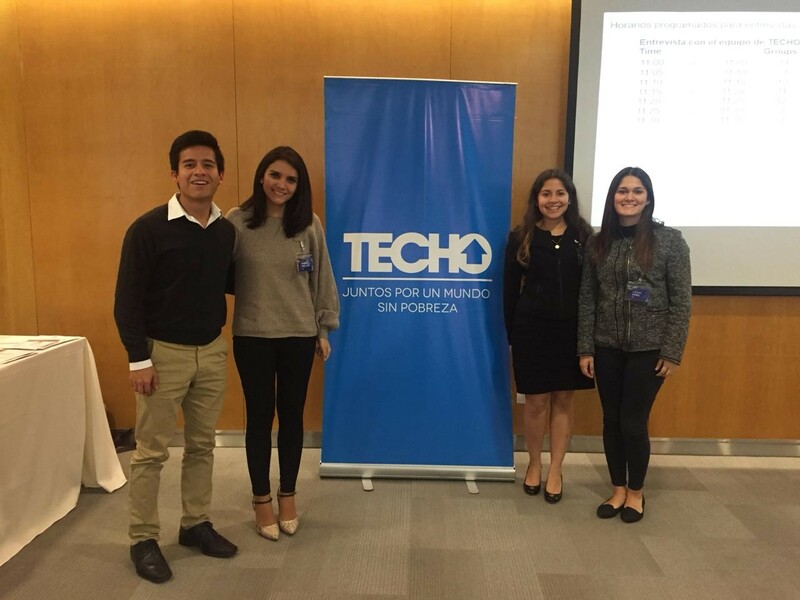 We created campaigns, like the TECHO Challenge, that would be promoted on TECHO’s social media platforms. Also, we analysed the impact it would have on TECHO Peru. The team worked well together with a blend of creativity and analytics. In the end, our team received third place, but the best reward was the ability to spend the weekend learning from McKinsey’s associates and consultants. I thank them for taking the time to teach us the tools consultants use in approaching problems, while highlighting the impact consultants can have on the world. I am lucky to have been involved—despite the jet lag. I look forward to participating in other similar opportunities this year as my MBA journey continues.